Once again, ICBA recognizes the exceptional work of the individual employees of community banks with its Community Banker of the Year award program, sponsored by SHAZAM. The award recognizes the superheroes—those who show agility, strength, super speed and adaptability—among members on a national level. 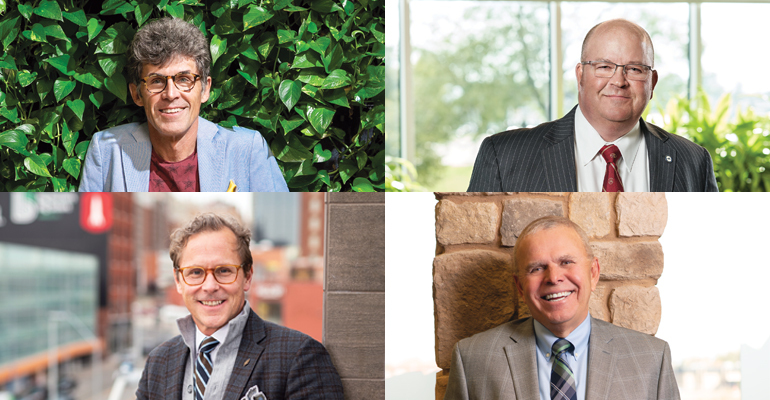 Four community bankers were selected for this year’s recognition. adaptability in being creative resource and impactful. Any community banker in any position can be nominated for the award and anyone can nominate a community banker for consideration. As the exclusive sponsor of the ICBA Community Banker of the Year Awards, SHAZAM is proud to recognize this year’s winners for their passion for community banking and commitment to truly making a difference in the markets they serve.